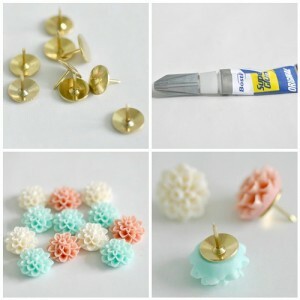 Thumbtack crafts are way cooler than I first realized. As it turns out, thumbtacks are superior crafty wonderfulness – in the right hands. Thank the craft gods that these 10 blogging humans saw the potential in thumbtacks or I may have lived the rest of my life completely in the dark. 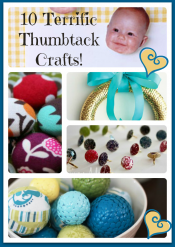 You’re going to LOVE these thumbtack crafts and ideas! 1. 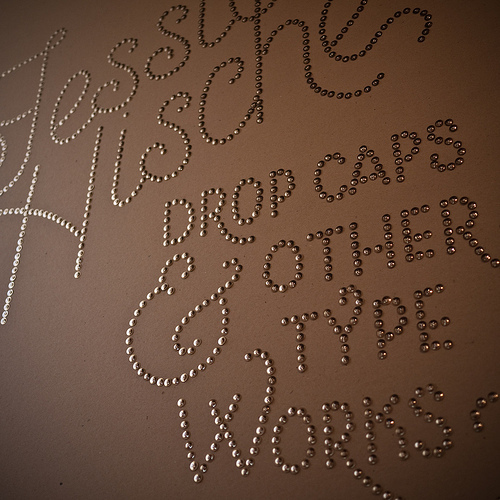 Jessica had 1000 thumbtacks and an afternoon, and BLAMMO! 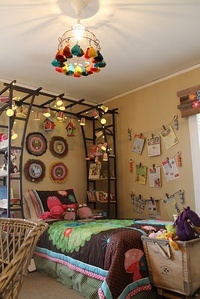 She created this slice of impressive craft creativity on her wall. If I had 1000 thumbtacks I know for sure it would never have occurred to me to stick them on my wall and create art. I’m obviously deficient in whichever vitamins generate creativity with office supplies. 2. 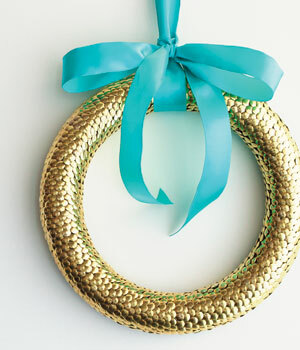 It is my firm belief that this thumbtack craft wreath is utter foam sexiness. Those chicks in Canada have all the cool ideas. 3. 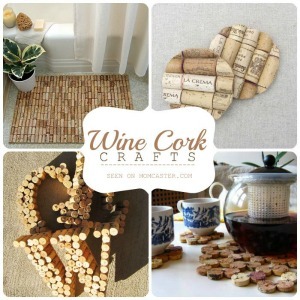 If there is one thing I know I’ll never run out of, it’s wine corks. 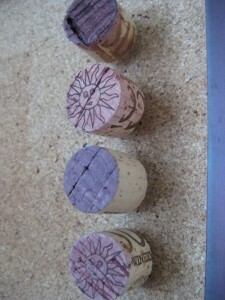 I do loves me a nice cab, so I have a fast growing wine cork collection. That’s why this thumbtack craft from The Wooden Bee warms the cockles of my heart. PS: If you know what a cockle is, please let me know. 4. 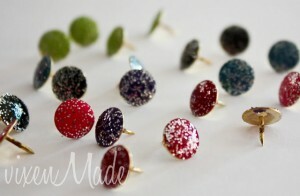 These pretty thumbtacks are are ridiculously sweet. They make me want to go on a tacking spree all over North America. 5. 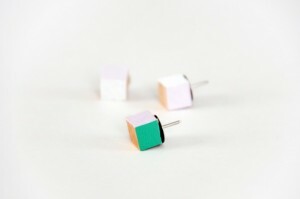 I think I could make these color block thumbtacks. I totally think I could! 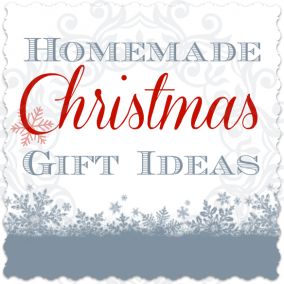 Yay for your tutorial, House of Earnest! 6. 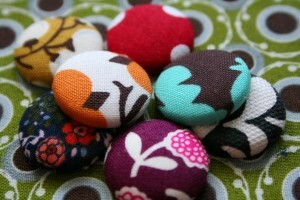 Kitty the Law Student tricked out these thumbtacks using a fabric button kit. She says it’s way easy. I’ve decided I believe her. 7. These thumbtacks are all about glitter and nail polish. Seriously? Oh Vixen Made, you are a woman of brilliance and mad insight. 8. 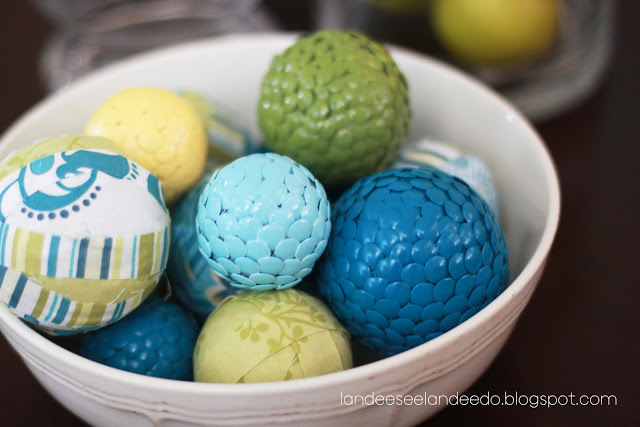 Are you loving these delicious thumbtack and foam decorative balls for spring? I’m crushing on them hard. Loveliness from Landee See, Landee Do. 9. 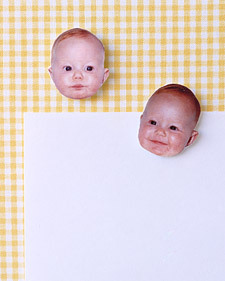 Leave it to Martha to come up with these baby face thumbtacks. I’m just hoping she didn’t steal the souls of these babies to get their faces. Once again, Martha Stewart has terrified me. 10. I will admit I had no idea who Jeffrey Campbell was or why his shoes were ten kinds of awesomeness. That is until I found these “tacky” shoes made by Suze Geeks Out that she says were inspired by his Tick shoes. 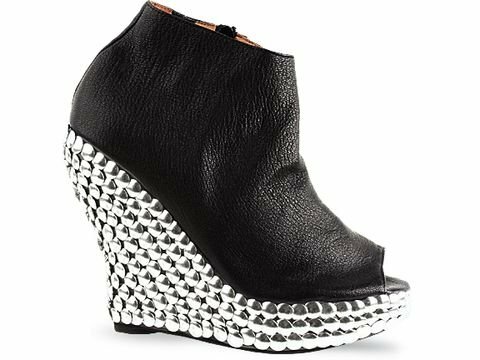 by Jeffrey Campbell $169.95 – Amazon. And here are Suze Geeks Out version, made with 1000 thumbtacks for a cost of about $20…. Nicely done, Suze!!!! So here’s my disclaimer, Lovelies. There are about 20 thumbtacks stuck in my wall in various and assorted places in my sad attempt to be “tacky cool.” Why can’t I be like these crafty chicks??? WHY OH WHY? 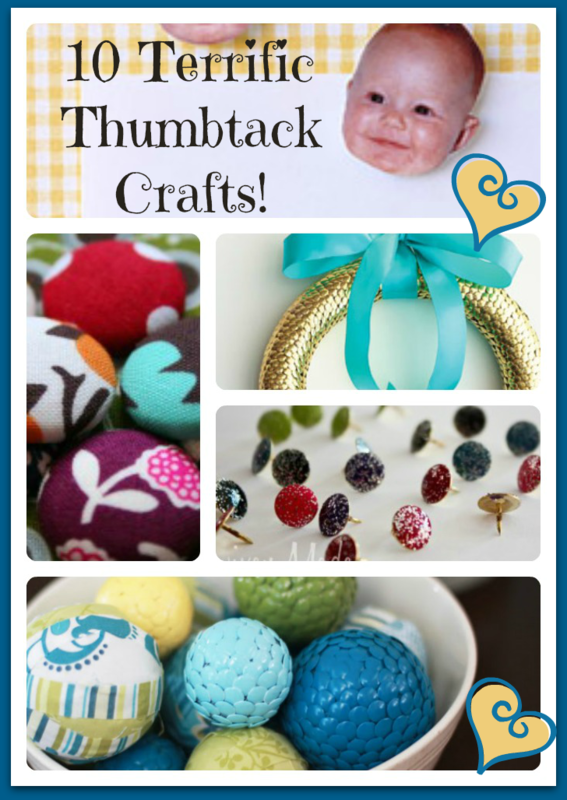 Did you love these “tacky” thumbtack crafts? Then you’re going to want to eat Activities for Easter with a spoon! 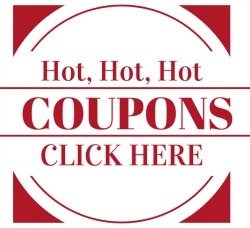 Did I Feature Your Blog? Yes. I’m a Keurig Freak! I Am an Ebates Freak. Fact.